Before passing away in 2016, Alan Rickman left his mark on the movie industry, touching the hearts of fans worldwide. He began his acting career later in life but became a major star, playing plenty of timeless characters that will always be remembered. Although he starred in numerous roles, he was best known for his ability to play the perfect villain with his baritone voice and chilling stare. Off the set, however, he was far from anything close to the malicious characters he played. 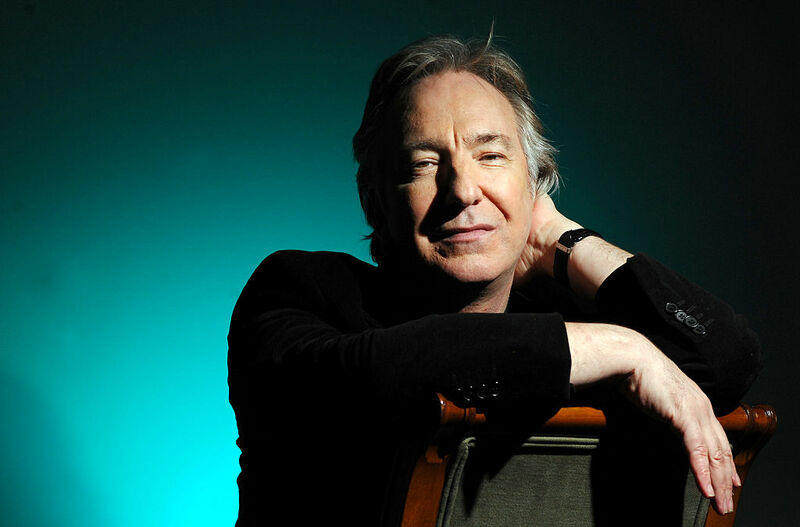 Take a closer look into Rickman’s life and learn some lesser-known facts about the admired actor. He almost didn’t play Severus Snape. If you’ve seen or read Harry Potter, you know the depth and importance of Severus Snape’s role in the story. 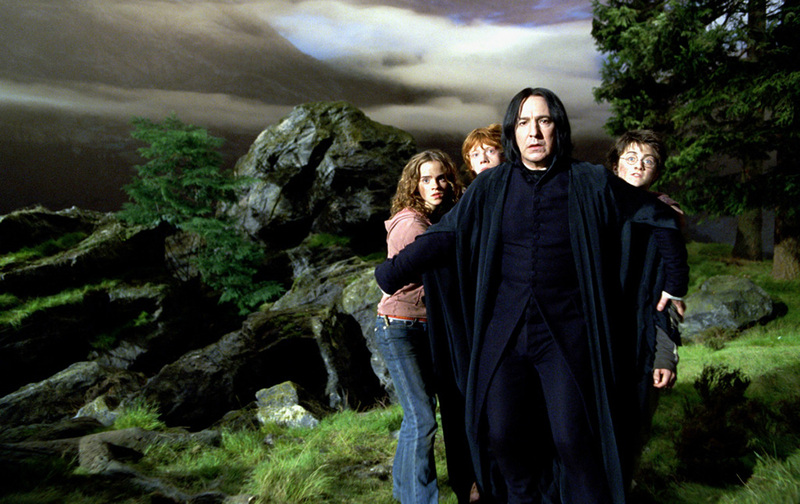 In order to play the role correctly, author J.K. Rowling told Alan Rickman Severus Snape’s true character. This wasn’t later in the series either, J.K. Rowling told Rickman where the story was going before she herself had even written it down. Rickman then used his knowledge to help guide the directors telling them “I know something you don’t.” Amazingly, he managed to keep the secrets for all of those years, making Snape one of the most dynamic characters. 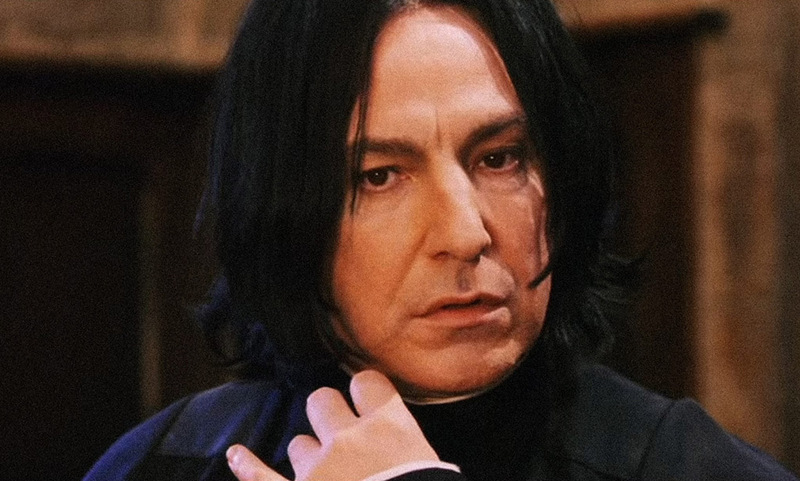 Before she knew that her book series would become a worldwide phenomenon, J.K. Rowling admitted that she wrote the Severus Snape’s character based off of Rickman’s past roles. However, during the casting stage for the films, she agreed to have Tim Roth play the role, who was the studio’s first choice. Thankfully, Roth declined the role and decided to play a chimp in Tim Burton’s rather sub-par Planets of the Apes. Rickman ended up with the role and nailed the part. 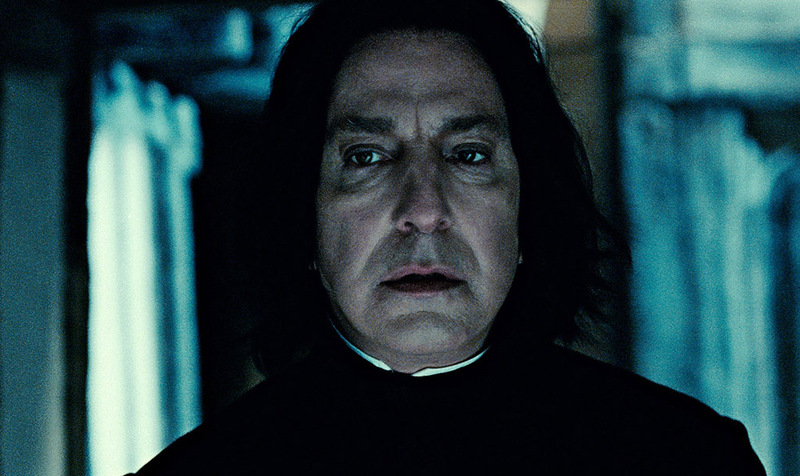 Today, we can’t imagine anyone else playing Snape. 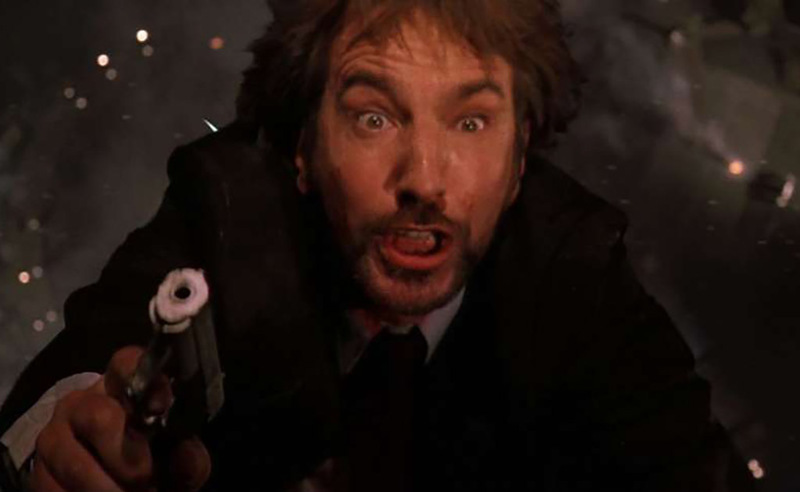 Alan Rickman almost declined to play the villain Hans Gruber in the 1988 action film Die Hard. He really wasn’t interested in being in action films since he was already in British mini-series like The Barchester Chronicles and Summer Season. He ended up taking the role after reading the script and finding it to be rather clever. And it’s a good thing he did since the role would become one of the most iconic roles of his career. He wasn’t afraid to give suggestions either, convincing the producers that Gruber should be wearing a suit rather than tactical gear. 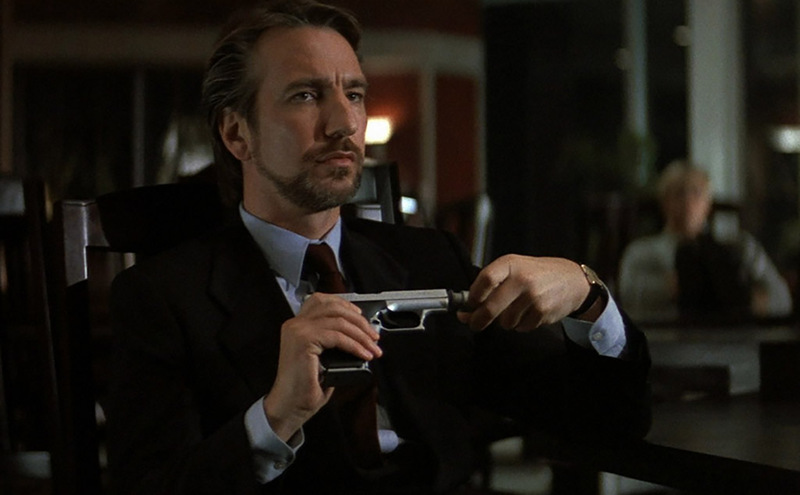 Although he had acted in television and theater before, Die Hard was Rickman’s first feature film, which is interesting considering that he stole the show. However, actor Sam Neill was actually approached to play Hans Gruber first but declined the offer. The crew had to come up with a different strategy to find their villain. Nevertheless, in the spring of 1987, the casting director saw Rickman playing the reprehensible Valmon in Dangerous Liaisons on Broadway and knew he was perfect for the part. From Rickman’s performance, you would never know it was his first time on the big screen. He and his wife were together for decades before they tied the knot. While attending Chelsea College of Art and Design in 1965, 19-year-old Alan Rickman met his future wife, Rima Horton who was 18 at the time. While Rickman was an actor, Horton served on the Kensington and Chelsea London Borough Council and was an economics lecturer at Kensington University. In 2008, linguist Andrew Linn and sound engineer Shannon Harris set out to discover what makes the “perfect” human voice. Using the voice samples of 50 people, it was determined that a combination of Rickman and fellow actor Jeremy Irons is the perfect male voice. One of the most memorable scenes in Die Hard is when Hans Gruber plummets to his death after he’s dropped from Nakatomi Plaza. What makes the scene is the look of shock and horror on Gruber’s face as he first begins to fall. While some people might call this good acting, his reaction is so convincing because it’s partially genuine. Rickman insisted on performing this stunt which would require him to be dropped from 25 feet on the count of three. Director John McTiernan was going for authenticity and had him dropped on the count of two instead, invoking real shock from Rickman. Up next, Alan Rickman’s original career path. 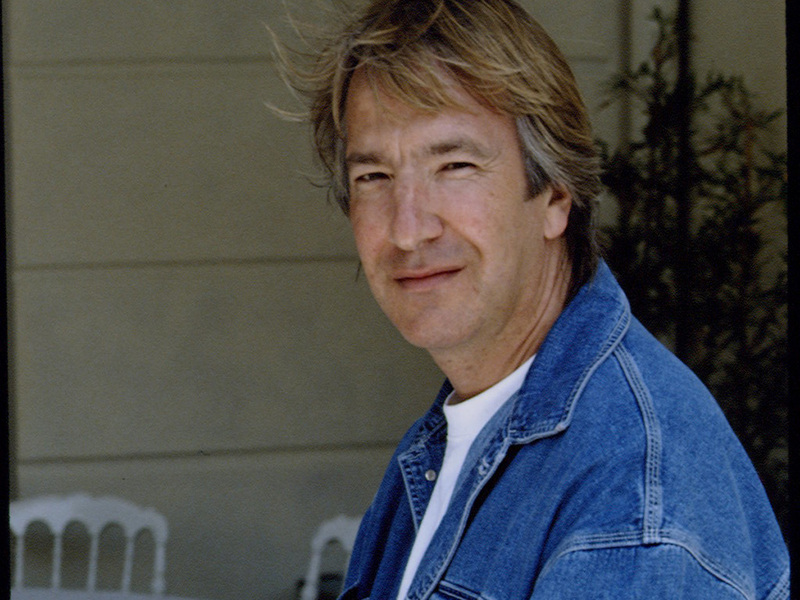 While Alan Rickman became extremely popular after playing the antagonist in Die Hard, he was well-known in the acting community before ever stepping in front of the camera. It was his performance as Vicomte de Valmont in the Royal Shakespeare Company’s production of Les Liaisons Dangereuses that began to turn heads. 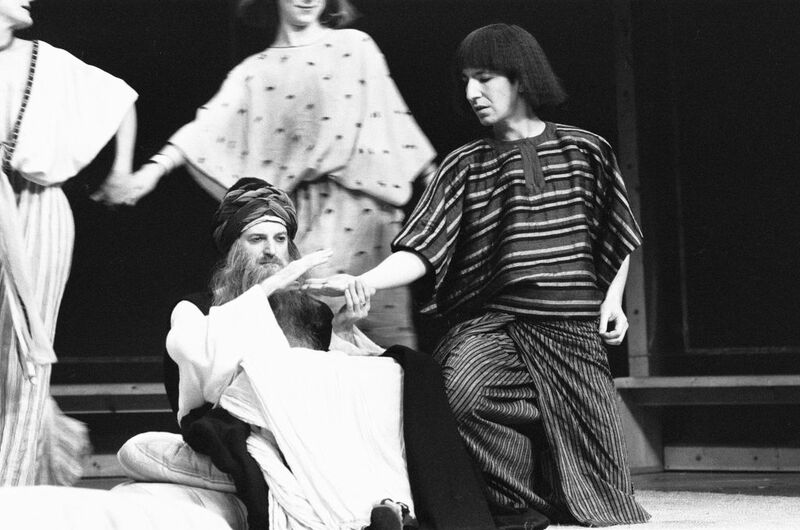 In 1987, the play finally made its way to Broadway and Rickman was eager to follow. 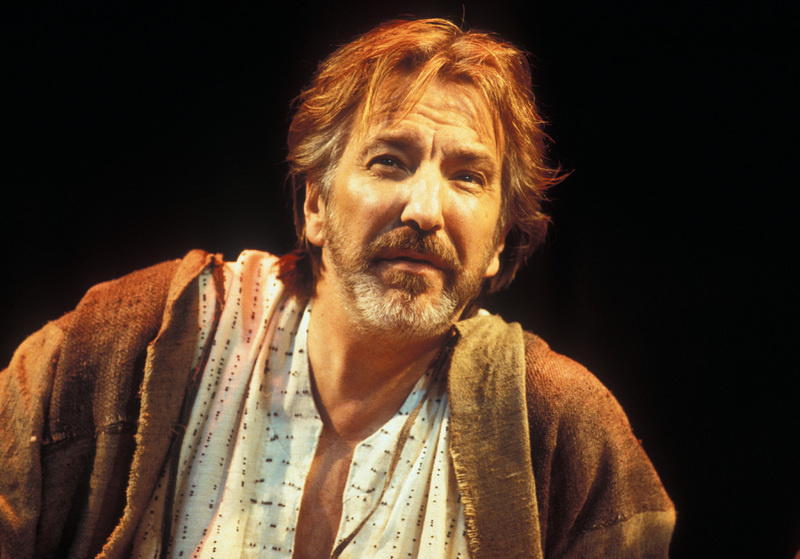 While acting on Broadway, Rickman received both a Tony and Drama Desk Award nominations for his performance. 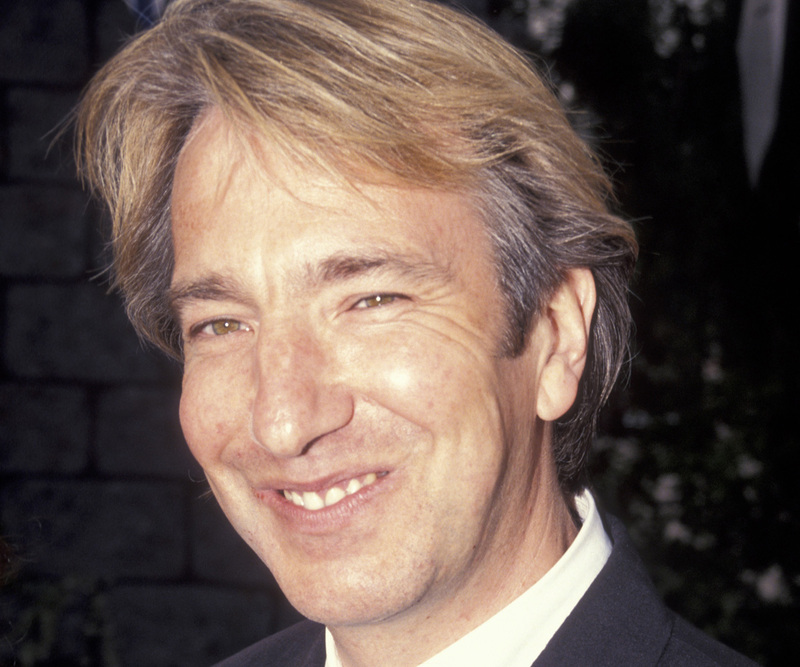 In 1990, Alan Rickman starred in the British fantasy drama film Truly Madly Deeply. 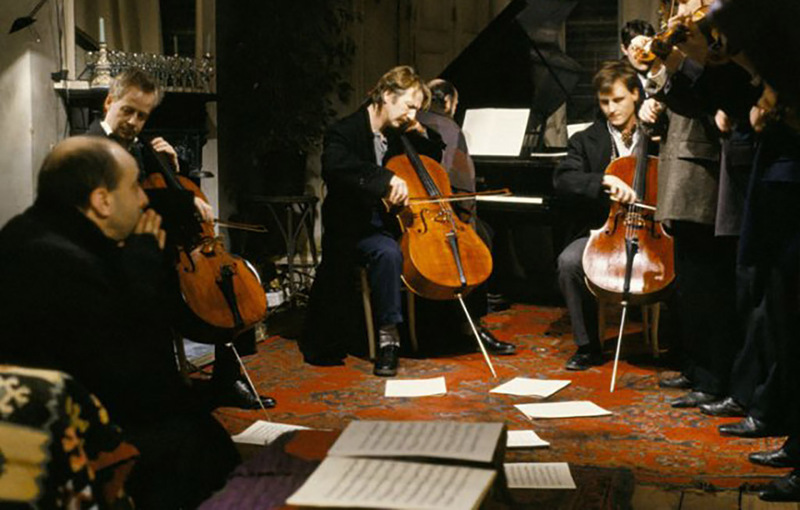 In the film, a cellist returns as a ghost to reunite with his grieving girlfriend. While Rickman appears to know how to play the cello extremely well, that’s not exactly the case. Although he took cello lessons for the role, mastering the instrument and focusing on his acting would have been borderline impossible. So while Rickman handled the bowing arm, a master cellist was reaching his hand under his armpit and handling the rest. While he had a successful career in graphic design, he always knew that he wanted to become an actor. While still working in graphics, he wrote a letter to the Royal Academy of Dramatic in hopes of getting an audition. “I was getting older and I thought if you really want to do this you’ve got to get on with it,” Rickman said. During his audition, he gave a rendition of a speech from Richard III and was granted as scholarship into the academy. He had finally found his calling. 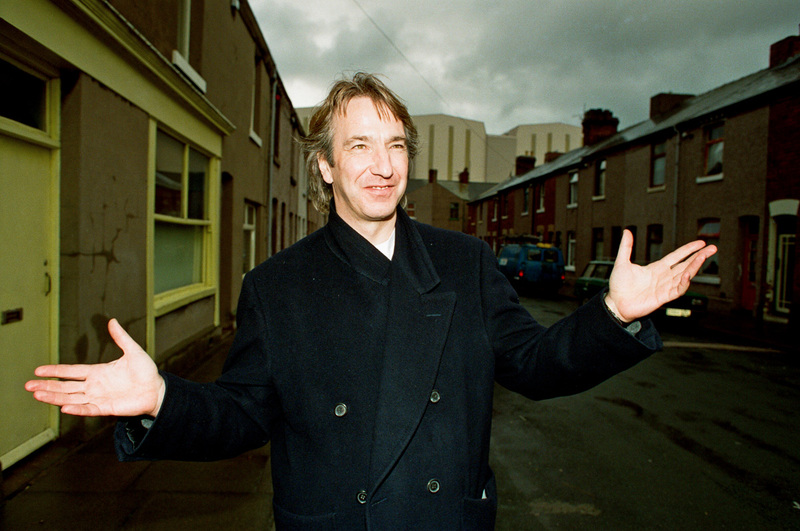 Since coming to fame, Alan Rickman has always made a point to give back to the less fortunate considering the opportunities he has been given. One of his biggest projects was being an active patron for the Saving Faces charity. He also acted as honorary president of the International Performers’ Aid Trust, another charity that works to relieve poverty in some of the most impoverished places in the world. While he usually played villains, that’s quite the opposite of who he was in real life. 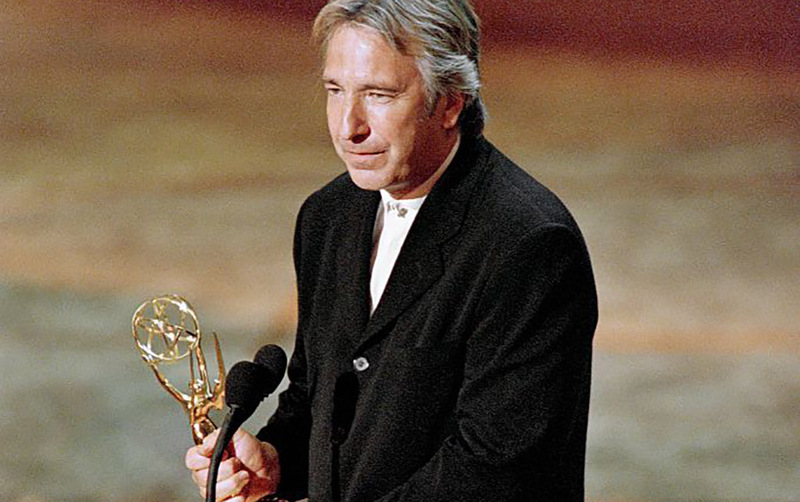 1995 was a good year for Alan Rickman, as he was awarded an Emmy, Golden Globe, and a Screen Actors Guild Award for his performance as Rasputin in the TV movie Rasputin: Dark Servant of Destiny. He had also previously been awarded a BAFTA Award for his role as the Sheriff of Nottingham in the 1991 Robin Hood Film. He was also recognized for his work on the movie The Winter Guest, which earned him a Gold Hugo and a Venice Film Festival ‘CinemAvvenire’ Award for Best First Film. 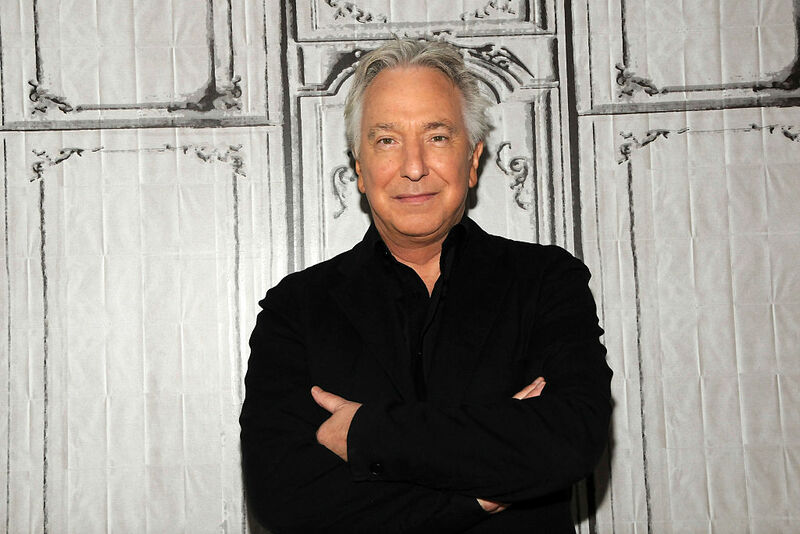 Although he knocked his performance out of the park, initially, Alan Rickman didn’t want to play the vile Sheriff of Nottingham in Robin Hood: Prince of Thieves. In fact, he even had to turn down the role twice! But that didn’t matter to the people working on the film who knew that they needed Rickman for the role — so they took a different approach to get him on board. Instead, they essentially told him that he could have creative control over his character which changed his mind. Good thing they offered him that because his performance made the movie. While on the set for the Harry Potter series, actor Daniel Radcliffe was no stranger to Rickman’s pranks on set. 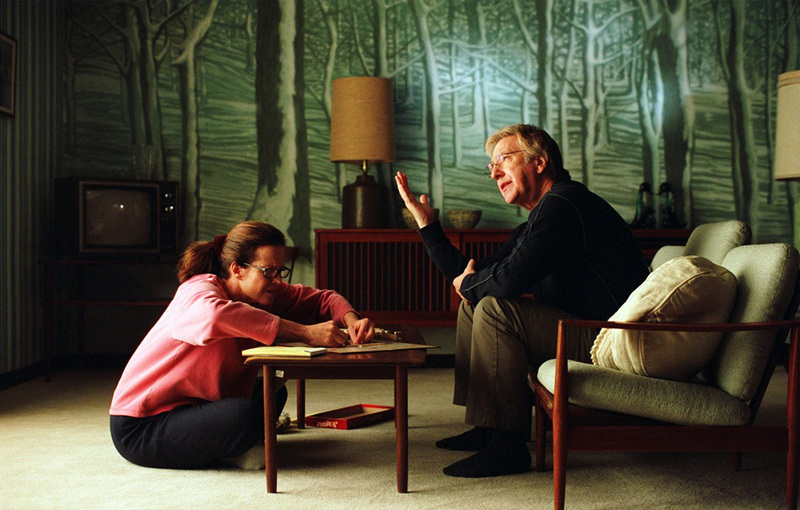 According to Radcliffe, while filming The Prisoner of Azkaba, Rickman planted a “farting machine” as he called it into the sleeping bag Radcliffe was using to film a very intense scene. However, when the cameras started rolling, Rickman hit the button and the machine made the sound you would expect. Apparently, everyone in the studio was crying because they were laughing so hard. After Alan Rickman read the script for Snow Cake and knew that he wanted to do the film, he had one small suggestion to the producers. He asked them to seriously consider Sigourney Weaver for the role of Linda since he had previously worked with her on Galaxy Quest. Rickman even called up Weaver personally and asked her to take a look at the script because he thought that the film would be right up her alley. Turns out Rickman was right and the movie went swimmingly. Much like how Sam Neill had dropped out of Die Hard and the role fell to Rickman, the same thing happened between Rickman and Hugh Grant but the other way around. 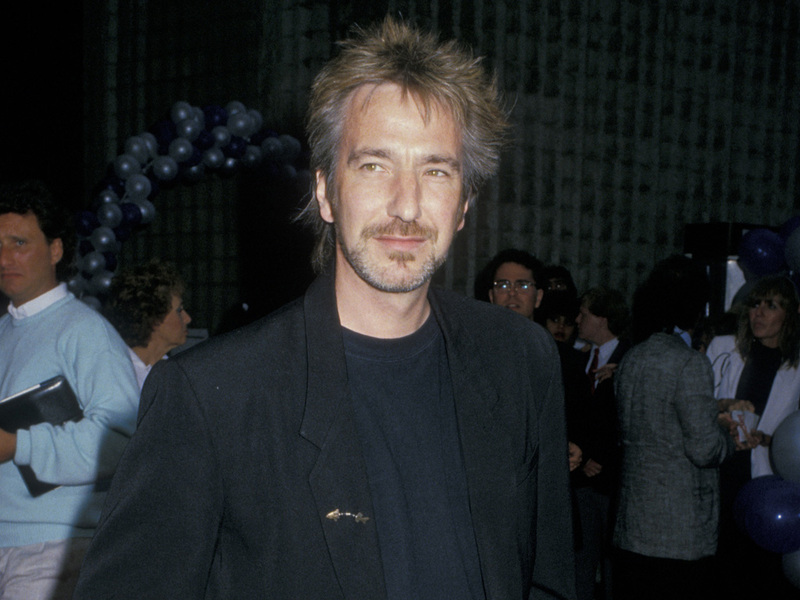 Originally, Rickman was supposed to star in the film Four Weddings and a Funeral. However, since Rickman couldn’t make the film, the writer, Richard Curtis was still uneasy about hiring Hugh Grant. However, it all paid off as the film went on to make Grant famous, just like Die Hard did for Rickman. As a change of pace, Alan Rickman was almost in the hit sci-fi comedy series Red Dwarf, along with a list of other esteemed actors including Alfred Molina and Hugh Laurie. Rickman wanted to appear in the show as the role of the uptight character Rimmer. Yet, he refused to read for the part until he had a few beers with the producers at the pub. In the end, the show was made of lesser-known actors which didn’t matter much as the show went on the be a major hit. 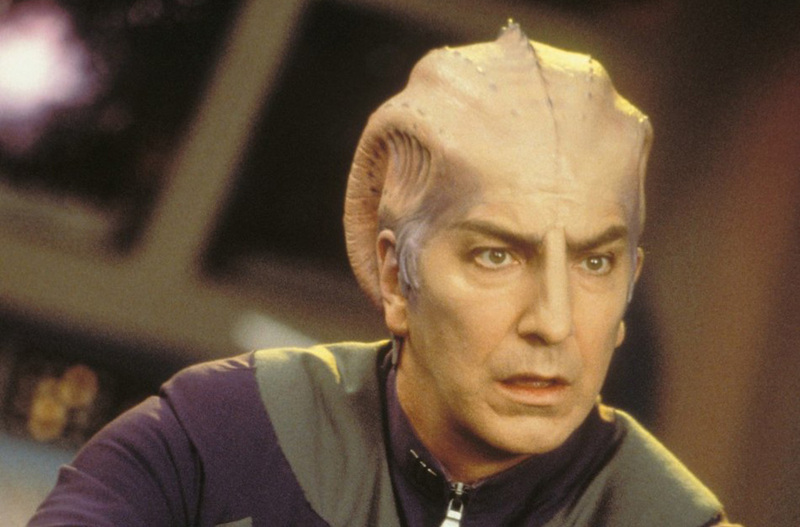 Rickman ended up landing a space role anyway in Galaxy Quest. Yet another project that requested Alan Rickman’s acting services was a 2000 cartoon version of Kevin Smith’s Clerks. 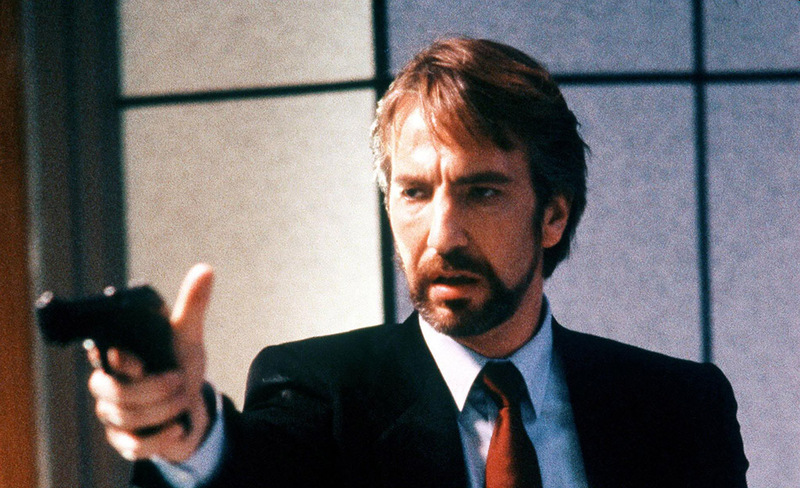 Rickman was asked to play the role of Leonardo who was supposed to be based on his Die Hard character Hans Gruber. Yet, the design of the character was later altered under Rickman’s request who didn’t quite feel like ripping off his own character. Although it didn’t matter because the project continued without Rickman and the studio instead went with Alec Baldwin although Rickman didn’t seem to mind. Although Alan Rickman’s voice has been scientifically proven to be one of the best, that doesn’t necessarily mean that he could sing. Yet, he’s proven time and time again that he can pull off some serious vocals. Alan Rickman was born in Hammersmith, London to Margaret and Bernard Rickman. Margaret was a housewife while Bernard, a former WWII aircraft fitter, took jobs in factories and painting houses. Rickman was only eight years old when Bernard passed away from lung cancer. From then on, Margaret was forced to raise Rickman and his three siblings on her own. She struggled to make ends meet as a single mother who worked at the Post Office. “She was a tigress. 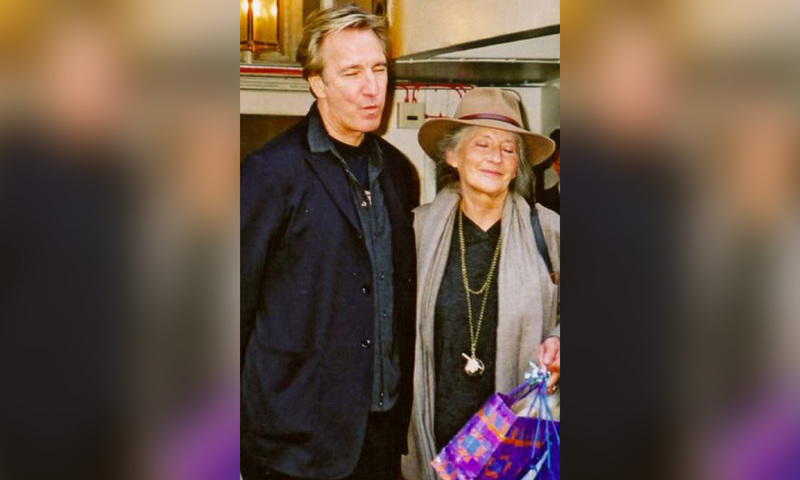 She could do anything,” Rickman once said of his mother. 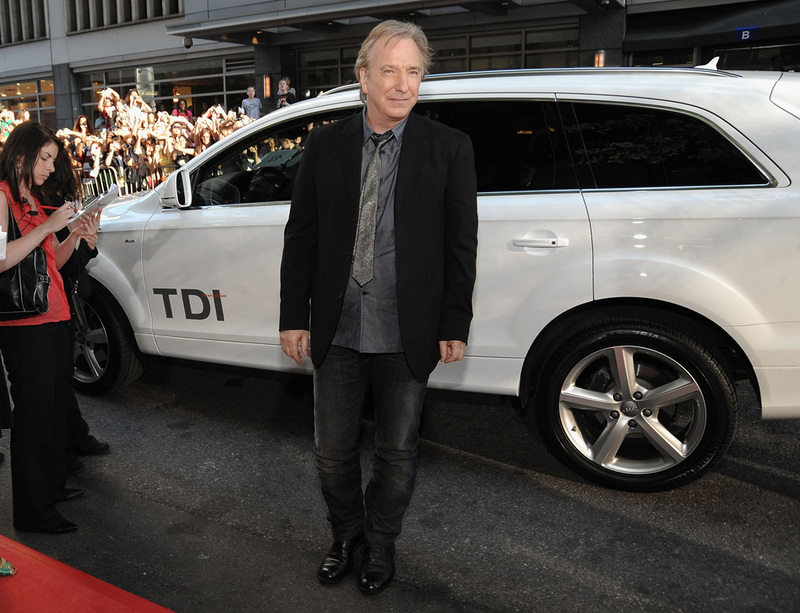 When Rickman came to Hollywood as his career was on the rise, he figured he ought to get a California Driver’s License to get around easier. He once admitted that getting his license took more than one try. Long before he landed the role of Professor Severus Snape in the Harry Potter franchise, Alan Rickman attempted to make his way into another successful franchise: Star Wars. Back in the early ’80s, Rickman auditioned for the role of Moff Jerjerrod in Return of the Jedi. By some accounts, Rickman was said to have used a “big, slow, low voice” when supervising the construction of the second Death Star. Just imagine Snape barking orders at the Death Star engineers as if they were his students at Hogwarts! Part of what makes Alan Rickman such a dynamic actor is probably due to the fact that he never watches his own work on screen. 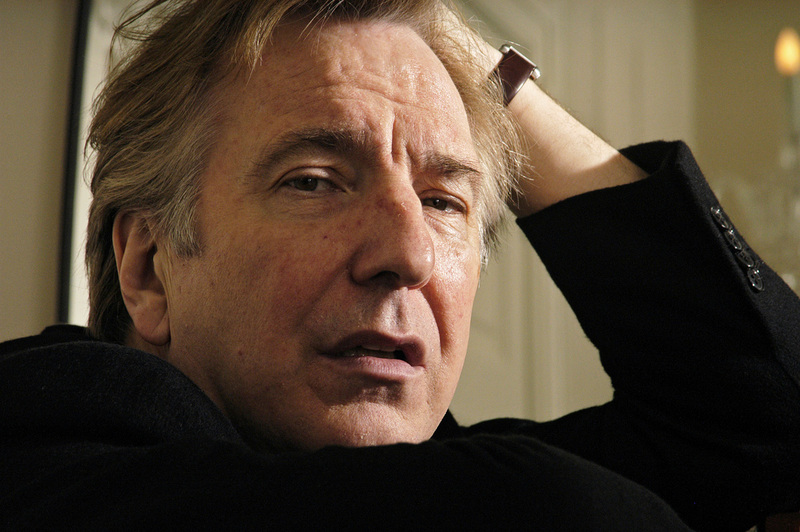 Rickman avoids seeing himself on screen for fear of how it might affect his acting abilities. Rickman posed some interesting questions to think about when it comes to these winged creatures. We can only imagine that he spend a lot of free time relaxing outdoors and watching the birds fly by. If you were able to ask Alan Rickman which of his characters he relates to the most, he wouldn’t give you a straight answer. This is probably because his injects the same amount of himself into every role in order to really become each character. “It’s me doing them. So what have I got to draw on, really? I mean, there’s the writing and there’s the homework, but then it’s got to be fed through me. That goes back to trying to figure out who you are anyway. In that you choose this job called an actor,” he told Empire. It turns out that J.K. Rowling isn’t the only writer who had Alan Rickman in mind when writing an important character. 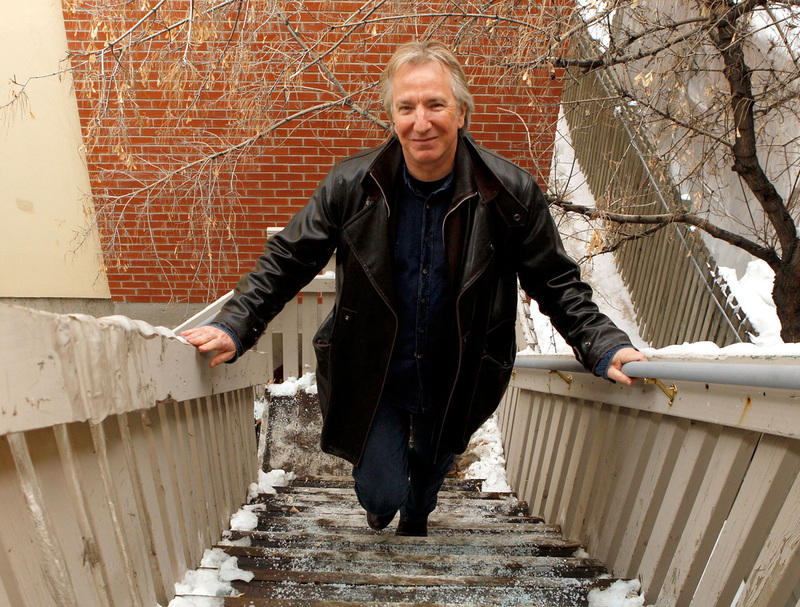 When it came to 2006’s Snow Cake, writer Angela Pell wrote the roles of Alex Hughes with Rickman in mind. In fact, Pell revealed at the Berlinale Press Conference that she even wrote the screenplay with character’s name as “Alan.” It was later changed to “Alex” under Rickman’s suggestion. Maybe he didn’t want to get confused playing a character with his real name while filming the movie. 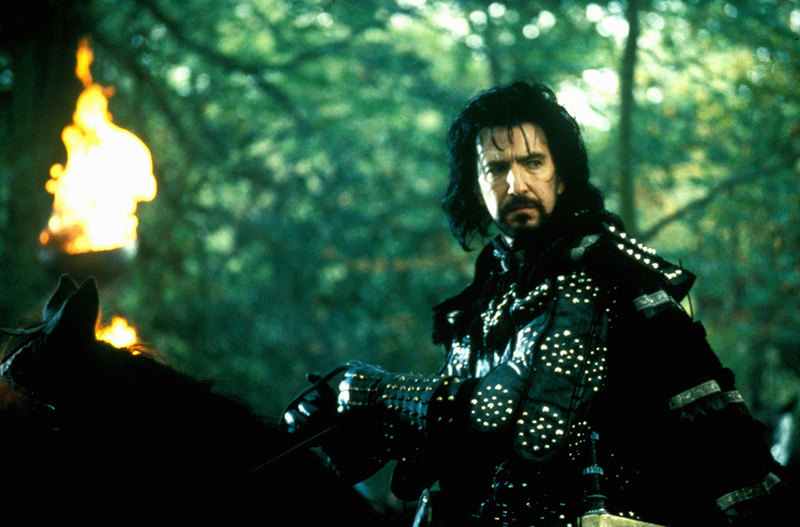 Of Alan Rickman’s memorable early roles is the Sheriff of Nottingham in 1991’s Robin Hood: Prince of Thieves. As it turns out, this was one of the numerous roles that Rickman infamously turned down. However, producers at Warner Bros. wouldn’t give up on him. Rickman turned down the role two times before he was convinced to take it. What made him change his mind was when producers told him he pretty much had a carte-blanche, meaning freedom to do whatever he wants, with his interpretation of the character. 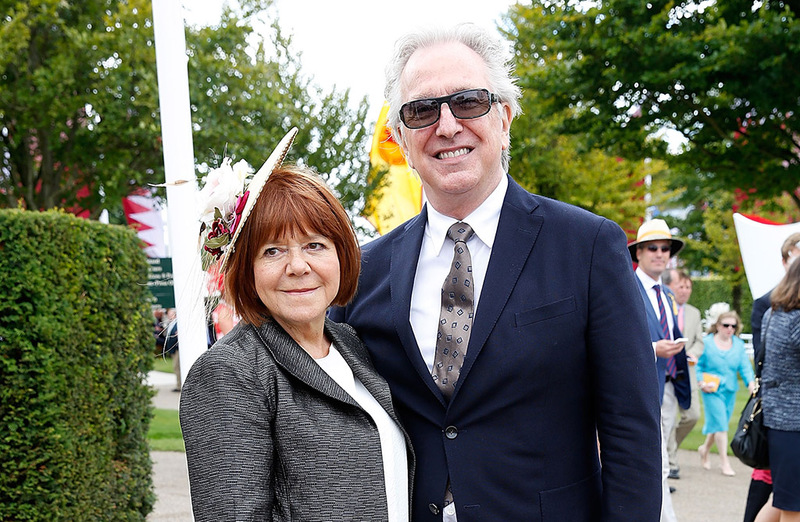 Alan Rickman and Rima Horton may not have shared any children over the course of their decades-long relationship, but Rickman was still a father in some ways. Rickman was elected to be the godfather of English actor Tom Burke. 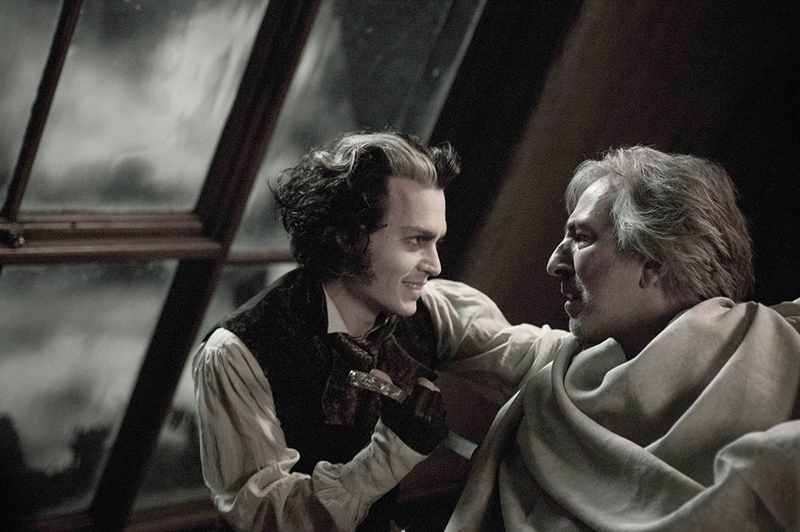 Rickman knew Burke’s parents, as they were fellow actors themselves. Burke has worked on the screen and on the stage just like his godfather. 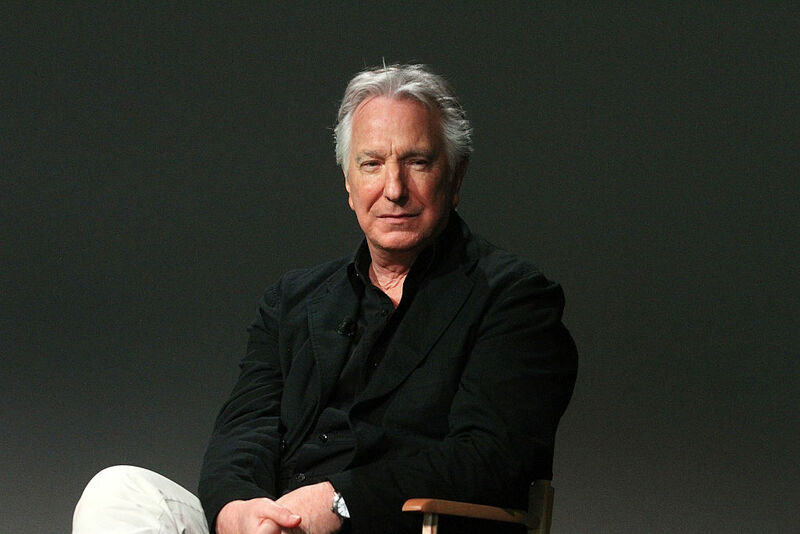 In 2008, he played the role of Adolph in “Creditors,” which Rickman himself had directed. Burke earned an Ian Charleston Award for the role. Alan Rickman may not be able to watch himself on screen but that didn’t mean he didn’t love to enjoy movies on his own. He once told Australia’s ABC that his favorite film was Robert Altman’s 1975 film Nashville. Some sources say that this was the film that changed his life and inspired him to take up acting! Indeed, this film combined satire, drama, and musical with a high profile cast including Ned Beatty, Ronee Blakley, Keith Carradine, Geraldine Chaplin, Henry Gibson, Michael Murphy, and Lily Tomlin. Just because Alan Rickman never had children, that didn’t mean he wouldn’t have liked to have them. He once stated that he wouldn’t have minded starting a family, but he loved his wife more than his desire to have his own progeny. He decided against kids to respect his wife’s wishes not to have them. “You should remember I am not the only one involved. There is another person here. I would have loved a family. Sometimes I think that in an ideal world, three children… would be dropped on us and we would be great parents,” he once said. 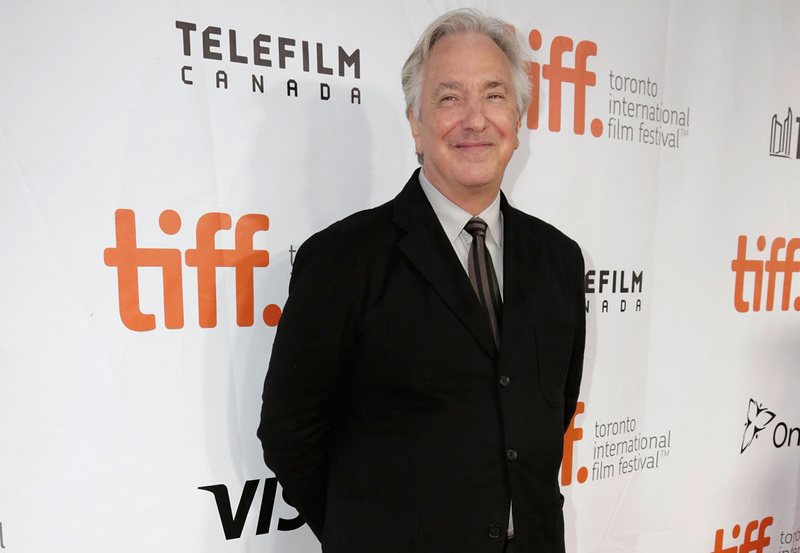 Alan Rickman has been known to be quite fond of Canada and he was actually the best of friends with former Canadian Governor General, Adrienne Clarkson. 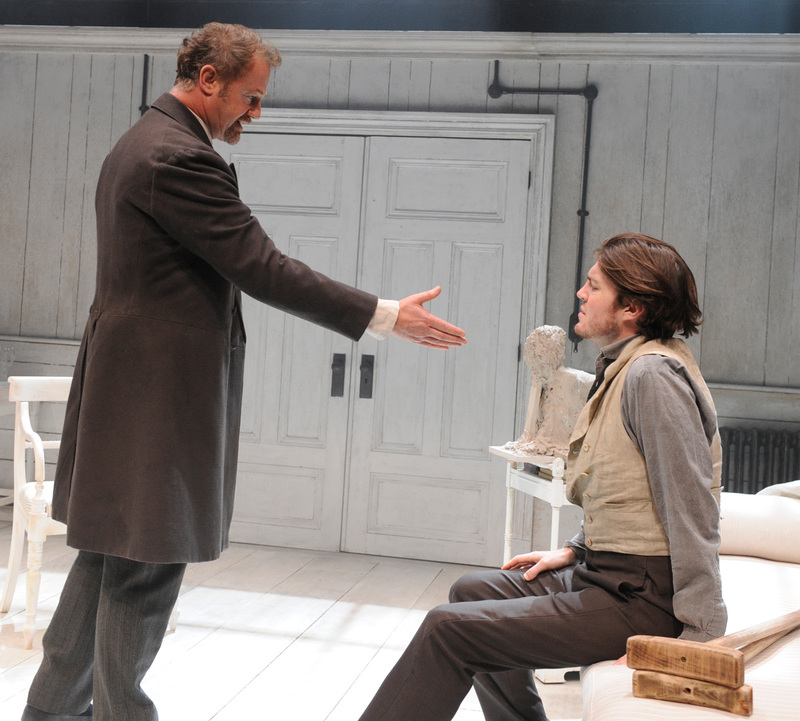 Rickman and Clarkson had met after his Tony-nominated perfomance in “Private Lives” on Broadway. Of his dear friend Clarkson, Rickman has said, “She is an amazing woman. Canada ought to be very proud of her.” Part of the reason Rickman had grown to love Canada so much is because he spent plenty of time there filming numerous movies such as Snow Cake. 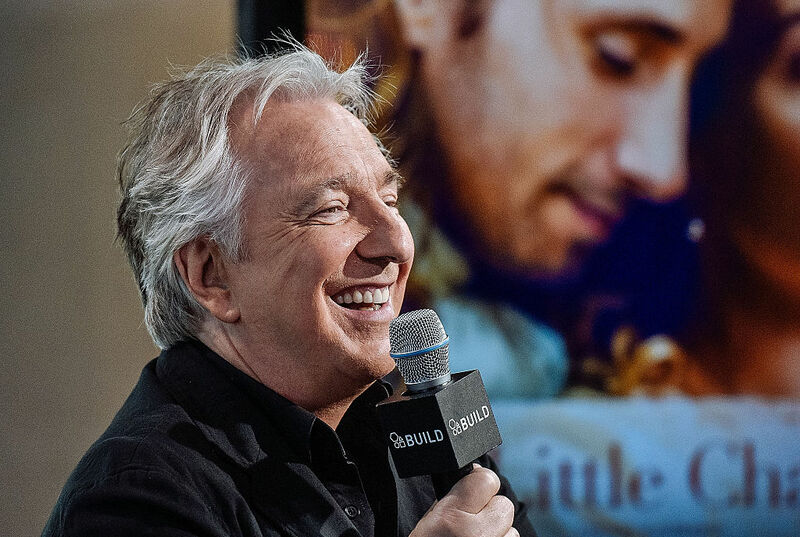 Alan Rickman has clearly proven himself as an actor, so it’s no wonder that he would eventually decide to try his hand at getting behind the scenes. He famously directed the 2014 British period drama, A Little Chaos. 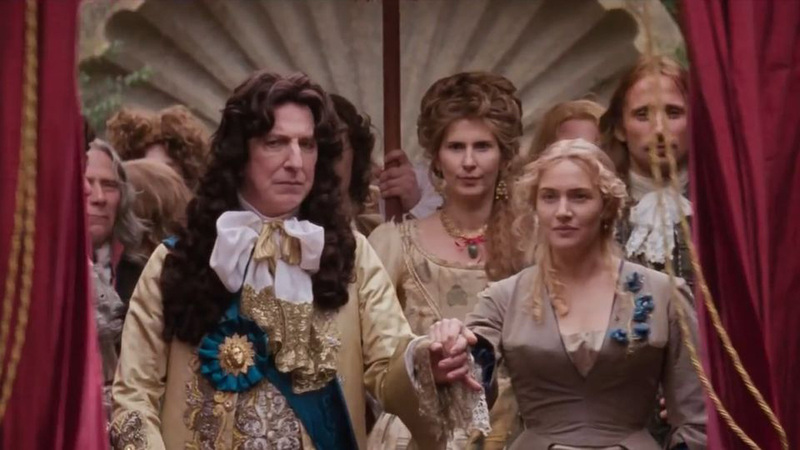 A Little Chaos had a star-studded cast that included Kate Winslet, Stanley Tucci, and even Rickman himself! The plot of the film revolves around a female landscape gardener who is chosen to construct the grand gardens at Versailles. 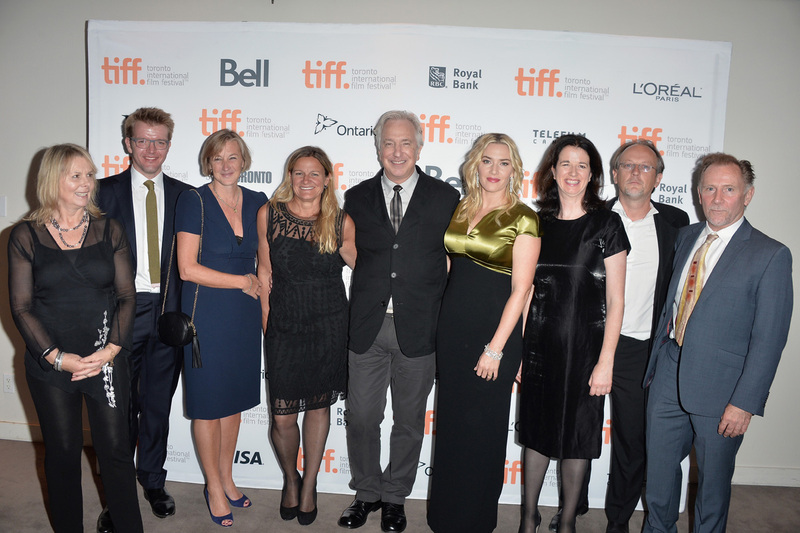 A Little Chaos premiered at the 2014 Toronto International Film Festival. Alan Rickman’s true love may be the stage, but the esteemed actor isn’t exempt from experiencing stage fright. If an actor messes up in television and film, the mistake can be fixed by doing a new take. But when it comes to the stage, there’s no room to make mistakes. 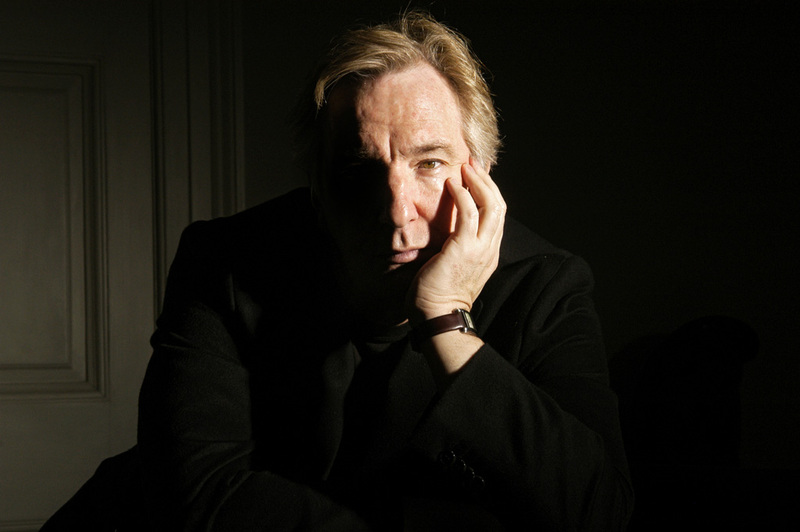 In an interview with Charlie Rose, Rickman has talked about the “gremlin” of stage fright. “I can only speak for myself, there’s this huge fear factor you have to deal with… and it doesn’t go away, the fear,” he said. Rumor across the pond has it that Alan Rickman is one of several distinguished actors who’ve turned down the honor of being knighted by the Queen. 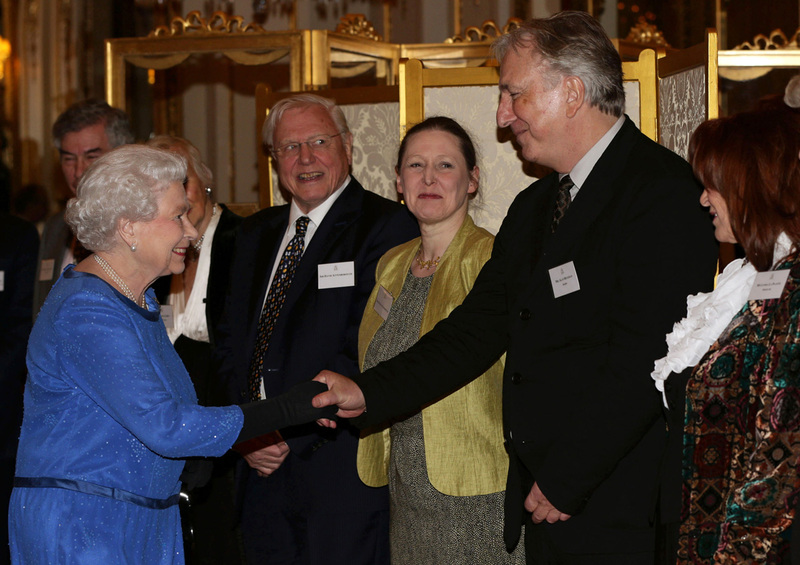 Individuals are subject to be knighted by nominations from the public, the government, or by Queen Elizabeth herself! It’s common for celebrities and commoners alike to get knighted into the Order of the British Empire (OBE). 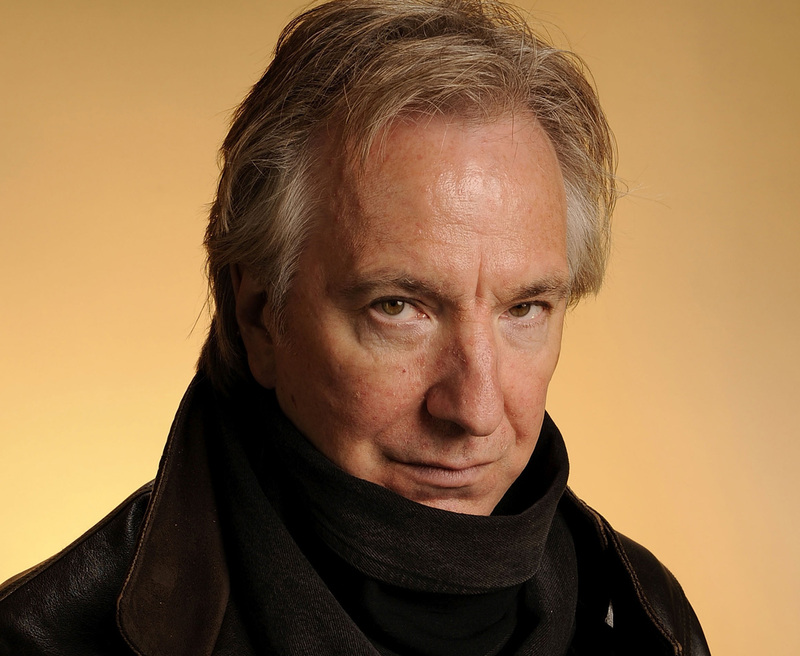 Rickman is said to have declined the honor, though no one knows the real reasons why. He joins the ranks of David Bowie, C.S. Lewis, Aldous Huxley, and Roald Dahl who’ve all done the same. 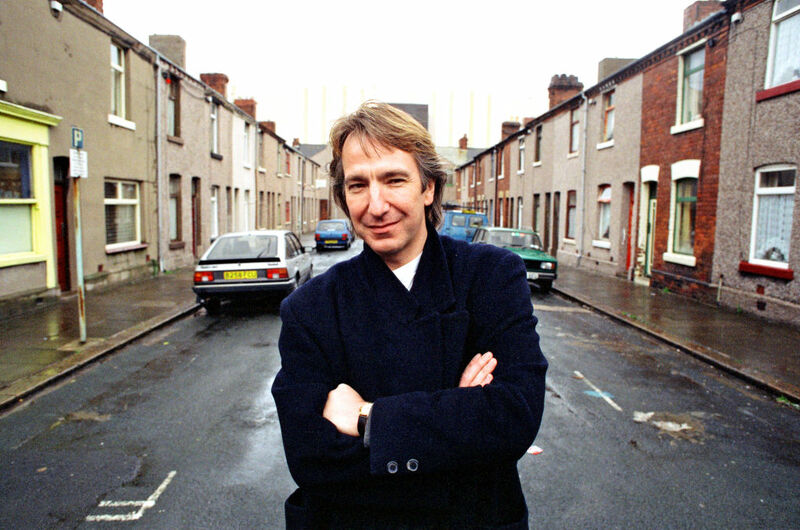 Alan Rickman once said that he was born “a card carrying member of the Labour party.” Indeed, Rickman was known in the U.K. as one of the most prominent celebrities who’ve supported Britain’s Labour Party. The center-left political party is known to champion progressive ideals in politics. Rickman was in 2008’s Bottle Shock, based on the 1976 “Judgement of Paris” in which a California wine defeated French wine during a blind taste test. 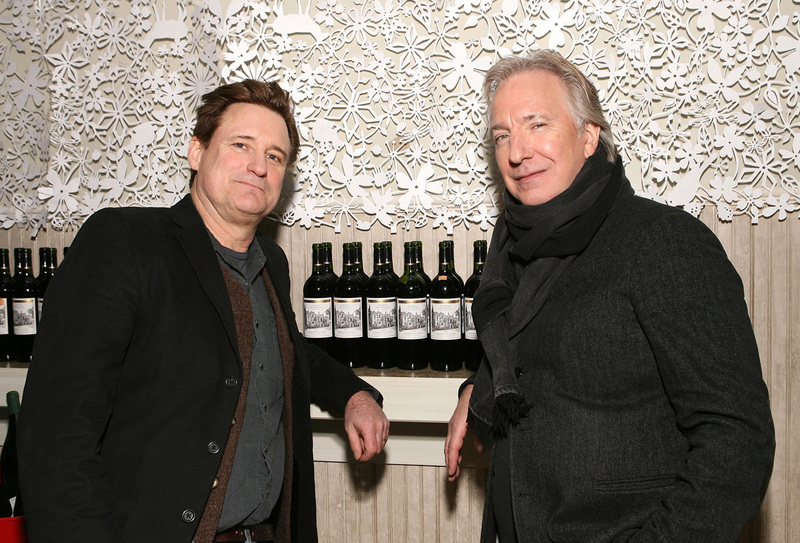 Rickman starred as sommelier and wine shop owner Steven Spurrier. As it turns out, the role was not far off from Rickman’s own personality. The actor claims to be quite the wine buff. “Famously, the California wines won with all the French judges, in both red and white, and it opened the doors for not only American wines but Australians and others as well,” Rickman told Los Angeles Magazine of the film. 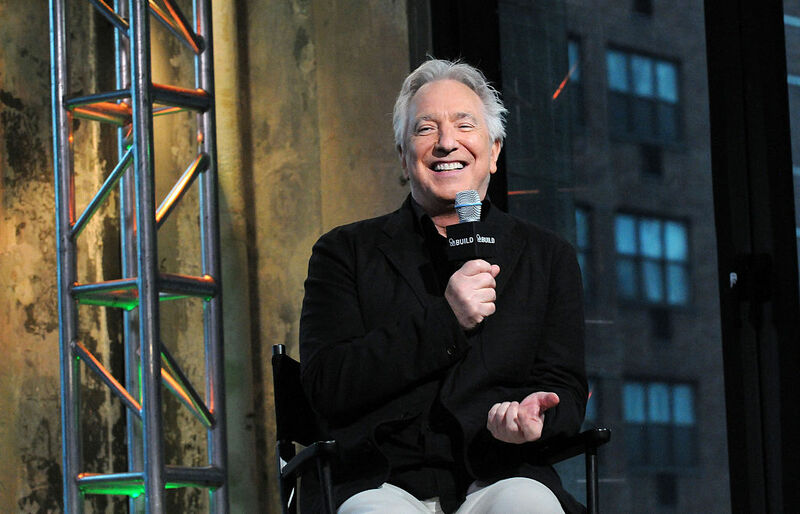 Part of what makes Alan Rickman a stand-out actor is his definitely his voice. His languid delivery of lines is part of what makes all of his acting roles so convincing, but as it turns out, his infamous speech pattern may be due in part an impediment he suffered growing up. 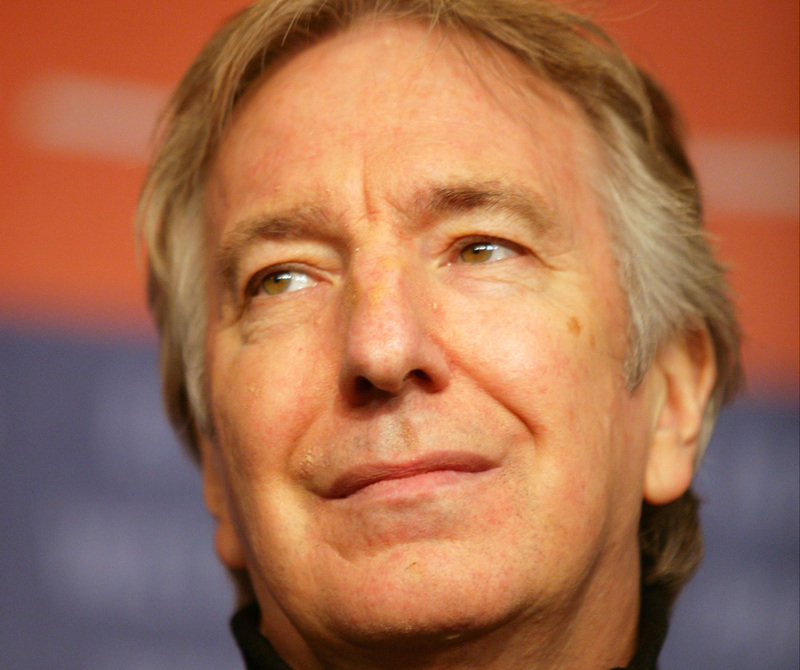 Some sources say that Rickman was a child when his lower jaw proved to be a problem for him. The tightness in his jaw caused Rickman to speak words that would come out indistinct and muffled. He’s obviously learned to work with it and use it to his advantage. 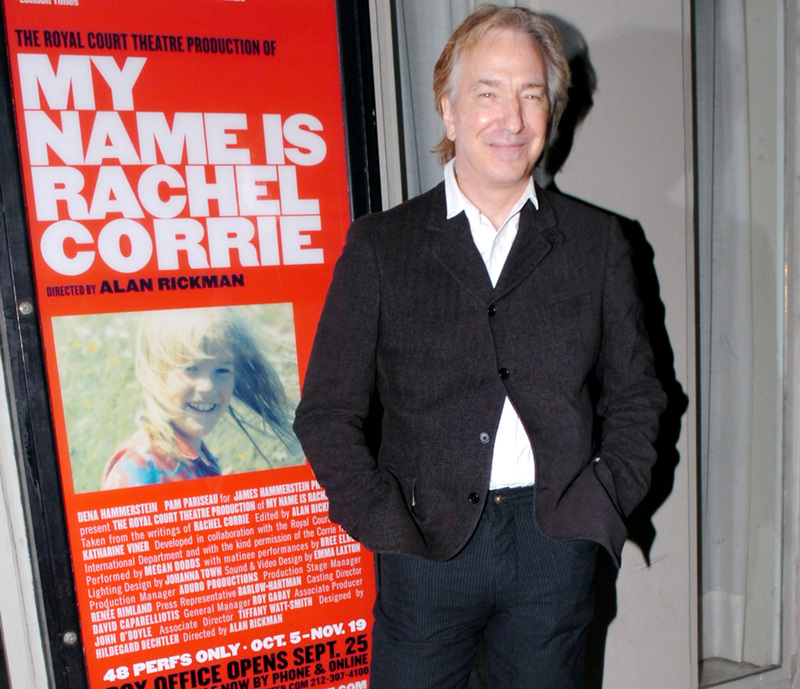 Alan Rickman directed the play, “My Name Is Rachel Corrie,” based on the Evergreen State College student who was killed on the Gaza Strip when she was acting as a human shield. 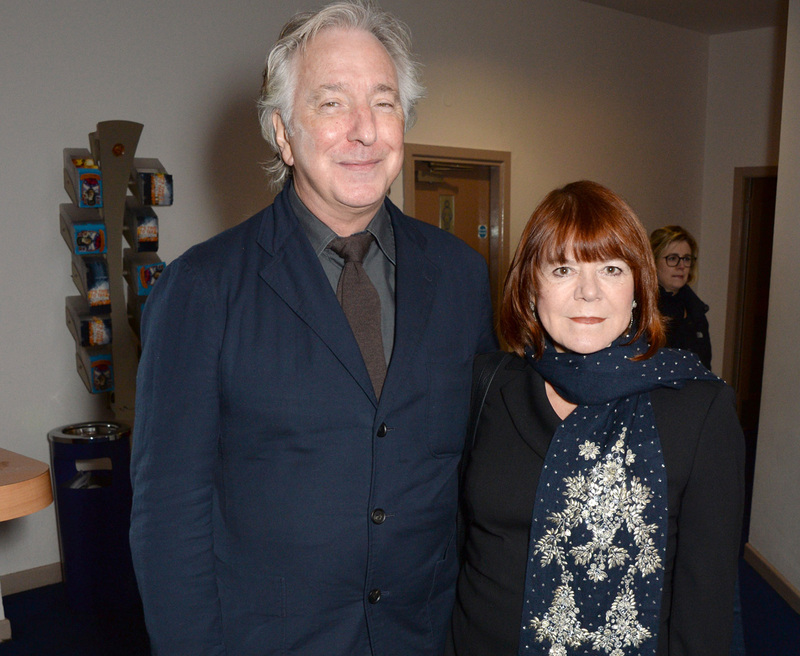 Rickman co-edited the play alongside The Guardian journalist Katharine Viner.